Dr. Schwarze specializes in vascular and endovascular surgery. She is board certified in both general surgery and vascular surgery. Dr. Schwarze provides a wide range of services including Abdominal Aortic Aneurysm (AAA) Repair – Endovascular, Abdominal Aortic Aneurysm (AAA) Repair – Open, Amputation, Angioplasty With Stent Placement, Carotid Endartecotomy, Carotid Stenting, Extended Efforts in Limb Salvage, Peripheral Artery Bypass, Varicose Vein Treatment. Dr. Schwarze is a board-certified vascular surgeon and medical ethicist. 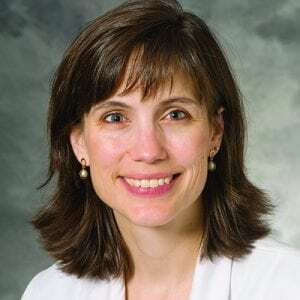 She is a nationally recognized expert in surgical decision making, informed consent, advance directives and end-of-life care. Her research focuses on improving communication between older patients and their surgeons so that patients can avoid unwanted treatment and make decisions that align with their values, preferences and goals. Patient and Family Engagement During Treatment Decisions in an ICU: A Discourse Analysis of the Electronic Health Record. Family and transplant professionals' views of organ recovery before circulatory death for imminently dying patients: A qualitative study using semistructured interviews and focus groups. Cost and Outcomes Information Should Be Part of Shared Decision Making-Reply. Risk Calculators and Decision Aids Are Not Enough for Shared Decision Making.